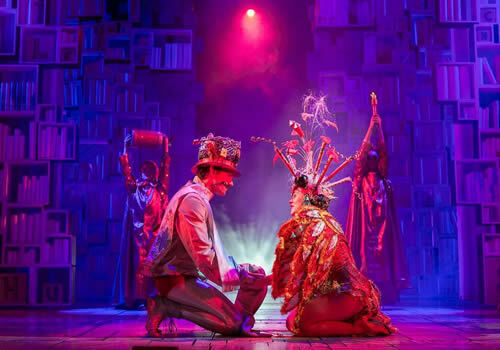 Matilda the Musical is based on Roald Dahl's hugely popular children’s novel of the same name, and was adapted for the stage by the Royal Shakespeare Company and Tim Minchin. An intriguing tale of a girl who does not quite fit in, Matilda transferred to the West End following a sell-out run at the Courtyard Theatre. 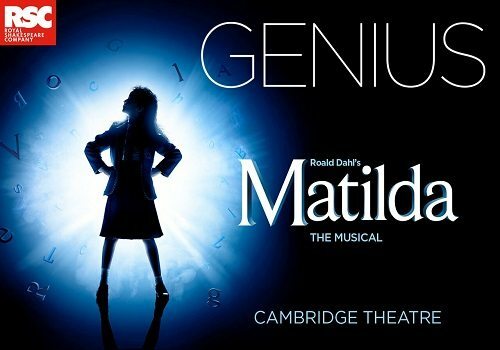 Receiving unprecedented praise from both audiences and critics alike, Matilda received five coveted Olivier Awards in 2012, including Best Actress in a Musical for all four girls playing Matilda. Similarly to the novel, Matilda the Musical follows the story of a five year-old girl named Matilda, an undiscovered genius living with her wheeler-dealer family, the Wormwoods. Having a keen interest in books sets her on the outside, as her family just like to watch the telly! Surpassing the normal intelligence of the other schoolchildren, Matilda is championed at school by Miss Honey, who endeavours to help her on her journey. Unfortunately, the evil Miss Trunchbull is set on making the children's lives a misery. 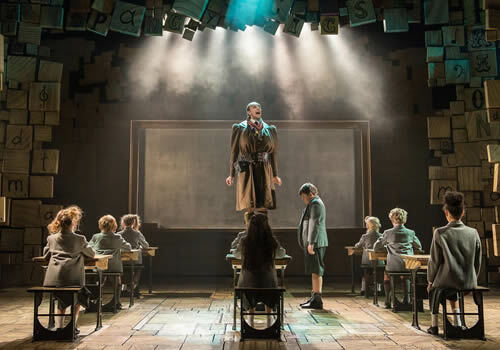 What Trunchbull does not realise is that Matilda's immense intelligence and magical powers can be used to rid the school of the terrible tyrant! 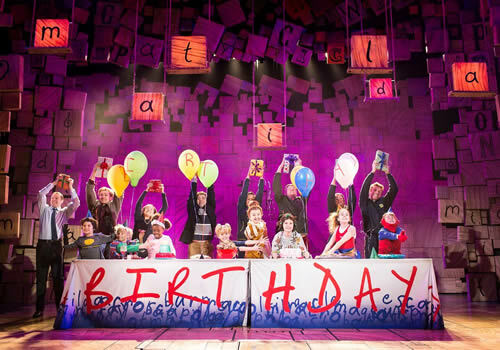 Directed by the Old Vic's Artistic Director Matthew Warchus, Matilda features a hugely powerful score by comedian Tim Minchin, with choreography by Peter Darling and incredible designs by Rob Howell - also the dream team that produced the five-star musical Groundhog Day. Matilda also features sound design by Simon Baker, lighting design by Hugh Vanstone and illusions by Paul Kieve. 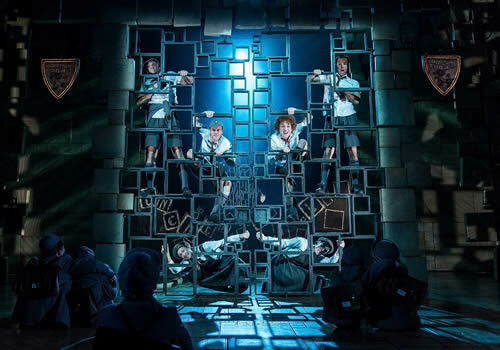 Matilda the Musical features now-recognisable songs such as "Loud", "Telly! ", "The Smell of Rebellion", "Naughty", "Quiet", "Bruce" and "Revolting Children" amongst many others. Matilda also opened on Broadway in 2013, earning rave reviews. Catch the musical at the Cambridge Theatre London. Matilda is recommended for children aged 6 and up. Please note that children under the age of 5 will not be admitted into the Cambridge Theatre. Children under 16 years must be accompanied by an adult. Click here for the Cambridge Theatre seating chart and seat price guide.